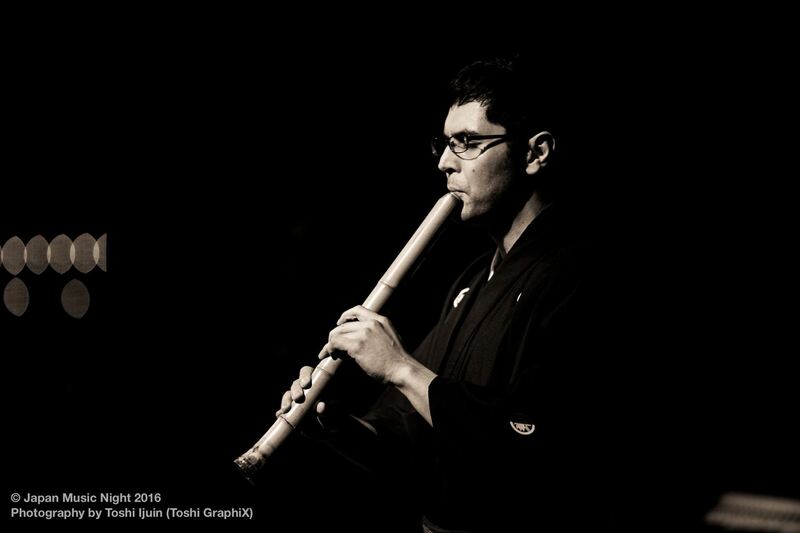 The Australian Shakuhachi Festival 2018 is a four day intensive for shakuhachi players of all skill levels. There are also three public concerts associated with ASF18, in Melbourne (Jan 27), Sydney (Jan 31), and the Blue Mountains (Feb1). We have invited three great teachers out from Japan: Teruo Furyuya, Kazushi Matama, and Kaoru Kakizakai. From Australia, we have Riley Lee, Bronwyn Kirkpatrick, and Carl Rathus, and myself performing and teaching. We are all students of the late Katsuya Yokoyama, who was instrumental in introducing shakuhachi onto the international stage through his performances of traditional shakuhachi music, and notably through performing the famed composer Toru Takemitsu's November Steps for shakuhachi, biwa, and orchestra (1967). Yokoyama sensei's music and spirit is imbued in all of us. Shakuhachi can be a very solitary instrument, so for many people, the festival is a major chance to get together with other players. We have quite a few people who have been coming to festivals for years, and have gotten to know each other well over time. We also have many people are relatively new to the shakuhachi attending. One of the most special things about shakuhachi festivals is that anyone, even absolute beginners who are just starting out, can hear, speak with, and learn directly from some of the best players alive. Dugan: At the moment we have nearly 100 members. Certainly there are many musicians, both professional and amateur, who are actively studying and playing shakuhachi. Quite a few people have gone to Japan for periods of intensive shakuhachi study. A few have spent significant periods of time there, several years or more. I spent ten years there myself, and only came back in 2016, so I'm still just becoming reacquainted our membership and the Australian shakuhachi scene myself! 3. 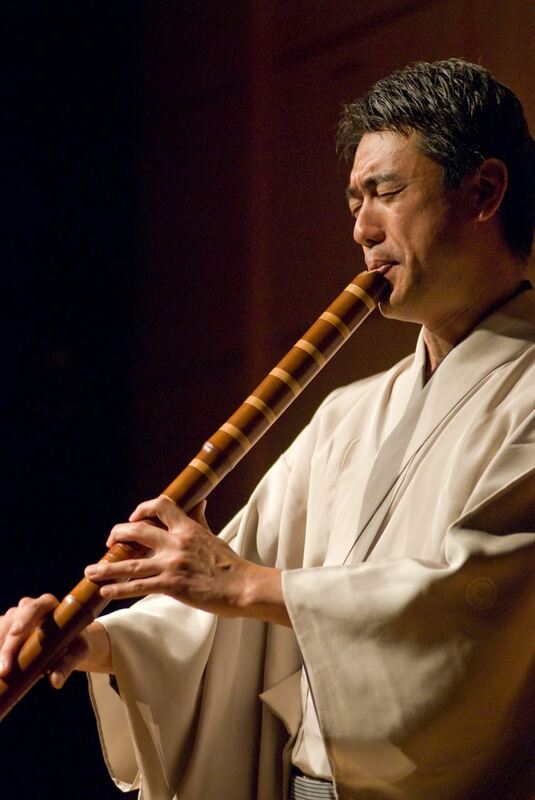 What’s the best and the most challenging things when you play Shakuhachi? Pitch control is the most important and difficult factor. It's not a fixed-pitch instrument, and many shades of pitch and tone colour are available, which can be a double-edged sword: you have the freedom to express many sounds, but you need to build you own sound world, and refine your internal sense. This is very challenging. 4. How do you care Shakuhachi? Any challenges in Australian weather? Dugan: There isn't a whole lot that needs to be done to maintain a shakuhachi, apart from cleaning it after playing, and storing it in a plastic bag. Most importantly, you have to make sure that it isn't subjected to extreme changes in temperature or humidity. Sydney and Melbourne, at least, are reasonably stable climates for shakuhachi. I've had more problems in the dry winter of Japan, in fact: during one winter, I found that more than half of my flutes had cracked in a very short period of time. Thankfully they were all repairable. 5. Which music would you recommend to listen to for Shakuhachi beginner listeners? Kakizakai: The original repertoire of shakuhachi music is traditional honkyoku. I highly recommend people to listen to this category. Dugan: I'd recommend honkyoku more than anything, especially recordings of Katsuya Yokoyama, and his teacher, Dōso Watazumi. 6. What would you recommend to start with for people who are interested in Shakuhachi but not played before? Kakizakai: It depends on which type of shakuhachi music you are interested in. You can start with any genre, whether it's honkyoku, ensemble music, or modern music. Dugan: Find a teacher, acquire a shakuhachi, listen to good recordings, and play! 7. Unfortunately, Shakuhachi players in Japan have been decreased. Why do you think that is? Kakizakai: 'Traditional' things often feel old, or out of date, to young Japanese people. Therefore, they perceive shakuhachi as just being an 'old' instrument, yet they may have never actually listened to real shakuhachi music. Also, producing sound is often not easy. Even with considerable effort, it's easy to give up. Skilled young shakuhachi players often play pop music, and it is difficult to convey the most profound qualities of shakuhachi through that genre. Historically, shakuhachi have been fairly poorly made instruments, but recent instruments are very high quality. Not many people yet recognise just how good shakuhachi have become. 8. When you are playing Shakuhachi, what kind of vision do you see in your mind? Kakizakai: I just try to play my best. It's almost a prayer to be able to make good sound, and have good pitch control. Dugan: Different things at different times, depending on the piece and my understanding of it at that moment, but it's like trying to see the bottom of the ocean. 9. How do you describe “Shakuhachi” in one word to you? 10. Shakuhachi music are often used in meditation. How do you think the sound shakuhachi effects meditative practices? Kakizakai: The original shakuhachi music, honkyoku, doesn’t have a counted, metric rhythm. The player’s breathing is very important, and the music depends on it. When the music is good, it could be because the breathing is good, then people can meditate in harmony with a good breath rhythm. That’s why many people prefer traditional shakuhachi music for meditation. 1. How did you feel after performing “Music from Japan” at Melbourne Recital Centre? Happy and grateful! It was a wonderful evening, made all the more special by the warm and receptive audience. Our series launch introduced a lot of new composers and new repertoire to the audience, and their attentiveness and enthusiasm meant a lot to us as performers and helped create a special atmosphere in the hall. We love performing in the Melbourne Recital Centre Salon and feeling such a close connection with the audience in that intimate environment. Very simply, we enjoy sharing music that we love with audiences, and that often includes pieces that are not so often performed. We discovered a great deal of richness and beauty – and some surprises! - in this Japanese repertoire, and it was a lot of fun to build a program based on one important line of Japanese composition with strong connections between all the composers and an incredible amount of variety, colour and atmosphere. 3. Please tell us little bit about those French influenced Japanese composers’ music from your CD and how you made decisions for playing their music. All the composers on our CD are connected to the “father” of the French-inspired school of composition in Japan, Tomojirō Ikenouchi. Both Yashiro and Miyoshi studied with Ikenouchi, and Ikebe studied with Yashiro and Miyoshi. And while it’s true that all the composers were influenced by French composers like Debussy, Ravel, Faure and Dutilleux, each has his own completely individual and compelling voice. We wanted to showcase the variety within this line of composition, so there are works from across the spectrum, from Miyoshi’s highly sophisticated and atmospheric study of sonority, to the pure fun of Ikebe’s sparkling piece for two pianos. Regardless of when the piece was composed, our task is always to delve into the music and become unified with it, so that it can come vividly to life in the performance. Our work process tends to depend more on the individual work than on whether it is old or new. Each piece has its own demands and resonates with us in a different way, so we let the piece show us the way and we simply follow its lead and discover the right process for us, for that particular piece. It’s a highly intuitive process. 5. Please tell us the best and most challenging parts of playing as a duo. 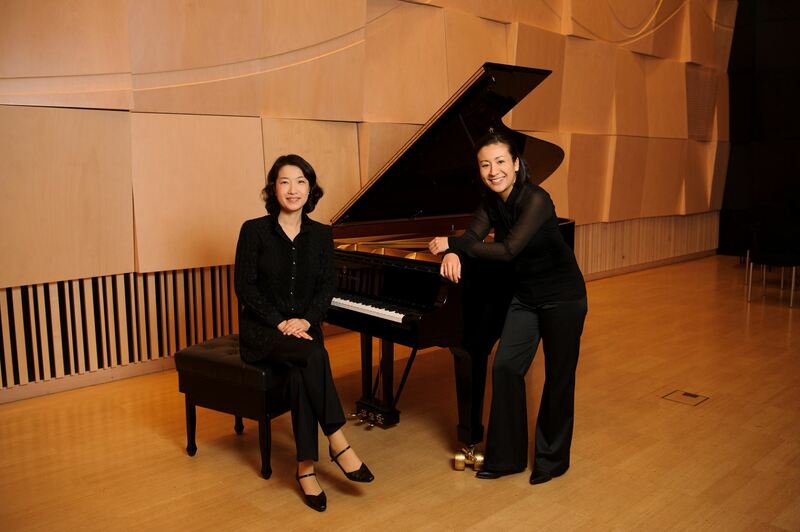 Piano duo is one of the most challenging chamber music ensembles, because of the extreme precision of the piano’s attack. The challenge is to get past the question of playing “together” so that the natural flow of musical ideas is never compromised for the sake of “good ensemble”. The goal of any performance, whether solo or duo or a larger ensemble, is to be set completely free from technical or practical limitations so the music can come freely to life. Seeking this goal is hugely challenging but is what makes duo playing so rewarding. And on those occasions when we’re able to achieve it, it becomes a powerful experience for the audience as well. This is what live music performance is all about – those magical, living moments when anything can happen! 6. Please tell us your impression of each other. We first met at the Australian National Academy of Music and became good friends. From very early on, we realized we shared a great musical connection. We learnt a lot from playing for each other and discussing many different aspects of piano playing and music – and life! This ended up forming an excellent foundation for our working relationship as a duo. Because we each know so much about the other’s way of thinking and hearing, we have a kind of shorthand when we rehearse. These days we only see each other when we’re in the same city to rehearse (I am currently living in Helsinki and Tomoe is in Melbourne) so it’s a lot of fun for us to get together and prepare for our concerts. 7. Tell us a little about your upcoming concert on August 16, ‘Through Whirling Clouds’. What can audiences expect? Our next concert is a real treat for us and the audience! All the music on this program paints evocative landscapes and scenes through sound in a masterful way. We will perform sublime music by French composers Ravel, Debussy and Tailleferre, with Ravel’s spectacular La Valse ending the concert. We also have a first Australian performance of Ardnamurchan Point by British composer Judith Weir, which conjures up the rugged coastline of the Scottish Highlands. You will hear music brimming with colour, imagination and soul. We’re just about to begin our rehearsal period in Melbourne and we can’t wait to delve into this extraordinary music. 8. Please tell us about your Japan tour next year. We are working on it and will keep you posted! You recently travelled to Japan to present Melbourne City Ballet's Carmen, how was the performance received? The audience loved the performance! They would like to have us visit again. 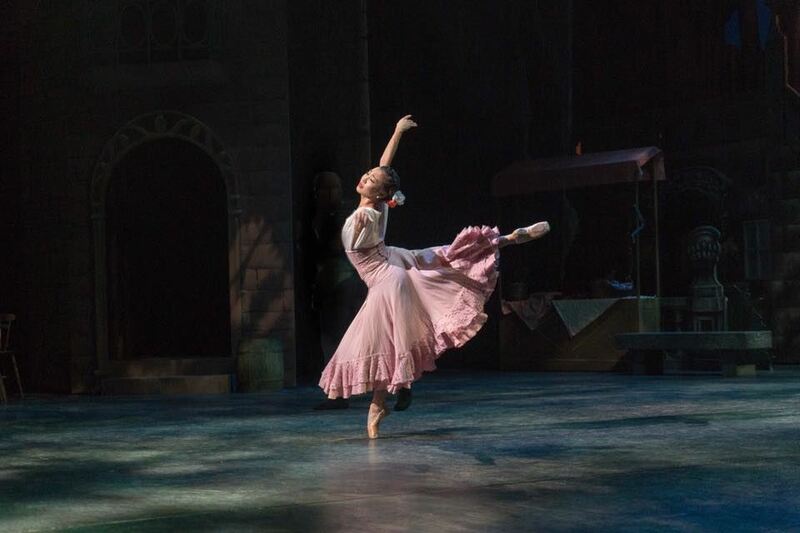 My friend came to see the performance, it was the first time she had been to the Ballet but She said it was a clear storyline she could understand easily and this helped her enjoy the performance. Definitely my family and friends, it was so nice to be near them and I loved having their support for this performance. Also Food! I love Japanese food. Since I came back from Japan I am making a lot of Japanese meals to enjoy. What is the first thing you do when you go home to Japan? My family have Yorkshire Terrier call Sesame. I cuddle him! What was it like working with the dancers from Japan? They are very, very hard working people. We sometimes had a rehearsal until late into the evening, finishing at 10pm. Japanese dancers often stayed after we had left and continued practicing until midnight. They were also very polite and respectful, I was very grateful to work with them. Some of the Japanese dancers from this show are coming to Melbourne City Ballet’s International Summer School. They told me it was unforgettable experience they had with us, I look forward to working with them again soon. 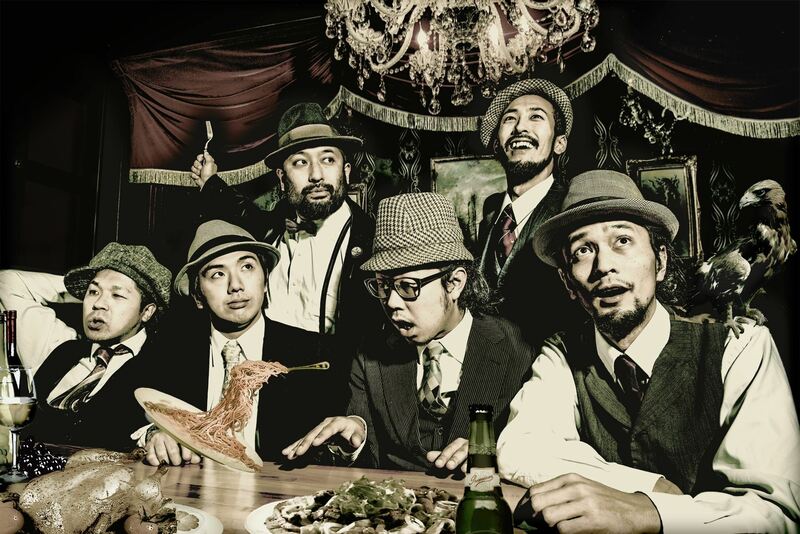 Japanese instrumental funk band is returning to Melbourne to play at Brunswick Music Festival on Thursday 17 March 2016. ~Please tell us about yourselves. Naohito 'Temjin' Yomoda: Trumpet - Scary when angry. No luck with cars. Great at gambling. Naokazu 'Bobsun' Kobayashi: Guitar - Bandleader. Look great with short pants and thongs. Can stand cold weather well. Yuki 'MZO' Mizoguchi: Funky organ - Lose mobile phones all the time. Have a wide knowledge of various trivia. Good at impersonation. Ei 'A-chang' Kikkawa: Bass - An anticipated newcomer. First time in Australia. Just funny. Satoshi 'Tiger' Okano: Drums - Easy going and positive personality. Cannot drink much alcohol. Love Coke. Play drum hard ('gashi-gashi'). Wish to become someone who works without expecting any credit. ~A famous piece of Instrumental Funk even beginners would know? ~Tell us your favourite pieces (one each from Instrumental Funk and non-Instrumental Funk). ~What is the reason you chose your instrment? Since when you have been playing that instrument? Destiny. Since 15 years old. ~Why and how did you join MMK? How long are you working with MMK for? MMK started as a hard-rock band which Temjin, Bobsun and I started at senior secondary school. Around 10 years including the time playing as an amateur band. ~What is an appleal of MMK? Clash of personalities of 6 members. Harmony. ~Most recommended album / piece of MMK? ~Who is the most influential person on you? ~What you want most and to do at the moment is? Bicycle. Want to do live performance soon. ~What you cannot live without is? ~Tell us your secrets which surprise your fans! X Japan (**Japanese rock band) was the starting point to love music. ~Where is a must-visit in Japan? Where do you recommend to visit in Japan? I recommend Tokyo Tower. I feel romantic there. ~How many times did you perform in Australia? How often do you perform in Australia? This is the fifth tour in Australia. Currently we come here every two years. ~Where is your favourite place in overseas? ~How many times have you been to Melbourne? This March visit would be the fourth one. The expression is just amazing when they like us! Japanese audiences express as well when they like us, but they seem to listen to our music more formally. Of course it's up to the each guests. On the other hand, I thought it seems Australian people tend to express in a direct way. ~When you play in Australia, do you play differently or pay attention to something different from when in Japan? I've never thought to play differently due to the location like Australia or Japan. I'm doing my best to play well and to perform live well. ~What is your impression of Melbourne? There are good and old buildings and streets are beautiful with great atmosphere. ~Do you have anything you want to go or do in Melbourne? Or any favourite place in Melbourne? Streets are so beautiful and I would love to have a walk if I have time. ~Australia Japan Society of Victoria is a Society mainly consisting of Australians who love Japan/Japanese culture and Japanese in Melboune. Any message to our members? There are many levels of exchanges between Japan and Australia and I believe we have built the fantastic relationship. We wish we would like to deepen our relationship in music and hope you will come to our live performance in Melbourne. Originally from Osaka, Japan, Yuiko Masukawa has enjoyed an incredible career as Principal Artist in Melbourne City Ballet. I started ballet at ballet school in my neighbourhood when I was 3 year-old. I kept saying to my mum that I wanted to dance together with ballet students whenever we went past the ballet school. Soon after I started, my little brother was born and there were times that my mum couldn’t take me to the ballet lesson, but I kept insisting on going by myself with teddy bear in my hand. The attraction of performing ballet is the sense of accomplishment I feel during a performance on the stage and the new accomplishments at day-to-day lessons. Everyday is a new learning experience. I’m trying to be interested in various things. Life tends to be ballet only for ballet dancers due to having ballet lessons and performances every day, but I love to be interested in many things. 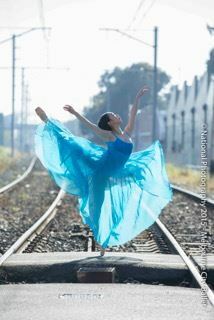 Life experiences are necessary for playing various roles in ballet, I believe. The most influential person in my life is Yoko Morishita. I’ve been a big fan of her since I was little. I think Japanese Ballet has changed since she started to perform overseas. My secret surprise for fans is that you might think ballet dancers don’t eat much, but I eat a lot, especially sweets… Instead I go to gym!! My favourite meals are Hamachi (a young yellowtail) sushi and sashimi. Love them! Holiday is what I want most at the moment. Can’t wait! My partner Sam..I can’t live without him. He’s been helping me all the time. We are going to have a wedding in Japan in April next year. The most impressive event is my best friend’s wedding in Japan this year. We were doing ballet together in Japan through the good time and hard time and it was a quite special occasion. I moved to Melbourne from Perth in 2011. In Perth, I studied at West Australian Academy of Arts (WAAPA) for two years. I learned dance there. There were no other Japanese nor a good environment to learn English. I had to not only dance but also write essays in English there and couldn’t survive without the help from friends and teachers. I started to wish to stay in Australia for a longer period. I moved to Melbourne because of the suggestion by my friend in Melbourne. She said that there were more opportunities in Melbourne than Perth when I was wondering what to do after graduation from school in Perth. I was thinking to go back to Japan if it didn’t work out in Melbourne after a year of trying. Fortunately, I started to have work as a dancer and got a Permanent Visa. This is the fifth year in Melbourne. I’ve been dancing with Michael Pappalardo, Artistic Director of Melbourne City Ballet even before Melbourne City Ballet was established. We had discussed that there were not many ballet companies even though there were many talented dancers in Australia. I’ve worked with him since he started this new ballet company. He is my good friend as well as respected boss. My impression of Melbourne is, due to the multiculturalism of the city, I can live without feeling a ‘foreigner.’ When I eat out, I can enjoy meals from many other countries. There are dance festivals, fashion festivals, food and wine festivals and sports events all year round. It’s a very lively city. I’d love to take my family from Japan to various places in Melbourne. The impression I have for Australian dancers is that they are very good at expressing their feelings both on stage and at in real life. Japanese don’t express feelings well in real life and it seems that it reflects the performance on the stage. Melbourne City Ballet is a newly established ballet company and not many people have known of us yet, but we are growing and finding there is a much great awareness of us now. Next year (in 2016), we are going to perform many fantastic titles, including Napoli, Romeo and Juliet, Dracula and Madame Butterfly. Whether you are a regular ballet goer or not, please come to enjoy our performance.